Professional services firm JLL (NYSE: JLL) is beefing up the senior housing side of its business with new additions to its national real estate team. 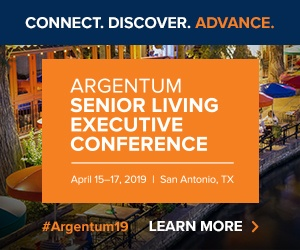 The company recently hired Mike Garbers and Cody Tremper as managing directors who will focus on advising owners, investors and operators in the senior housing and skilled nursing industry. Garbers will be based in Orlando, while Tremper will work out of Dallas. Charles Bissell, a former managing director on JLL’s valuations and advisory team, also recently joined the company’s senior housing sales team. JLL offers its clients investment sales, finance along with valuation and advisory services. The Chicago-based company is also one of the largest affordable and conventional multifamily and senior housing lenders in the U.S., with loan underwriting, asset management and loan servicing offerings. Garbers and Tremper previously led Greystone Real Estate Advisors, a senior housing real estate sales and investment advisory group created through Greystone’s acquisition of the ARA National Seniors Housing Group in 2014. Garbers has more than 18 years of experience in the senior housing space, and has had a hand in the development, acquisition and sale of more than $5.5 billion in senior housing assets. Tremper, meanwhile, has worked in the industry for 14 years and was involved in $4.5 billion worth of senior housing transactions during that time. JLL is focused on growing its senior housing business, and has built out its platform with a holistic approach to the asset class, according to Brian Ranallo, an international director who runs national operations for JLL’s multifamily business. He points to the looming baby boomer demographic as one major reason for building out the company’s senior housing team. Looking ahead, JLL will continue to make additions to its senior housing team “as opportunities present themselves,” Ranallo added.